At Lock Medic Locksmiths our primary concern is your safety. Burglar alarms for home and property are becoming more and more popular and we are able to offer excellent prices on all our alarm system installations. Lock Medic Locksmiths provide a complete security service including alarm maintenance, advice and site surveys. Lock Medic Locksmiths is a family-run firm that has kept families and business safe for over 30 years using professional, reliable, alarm systems. During this time technology has evolved, making the installation of an alarm system more affordable, so that both domestic and commercial customers can better protect their properties. 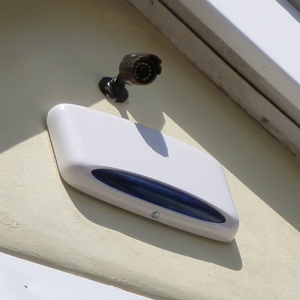 In addition to being an excellent deterrent to prevent crime, intruder alarms and are now much easier to use. Many have smartphone apps that alert you instantly if there's a break in, making security much simpler for customers to manage. For further information on burglar/intruder alarms and security systems please get in touch.